Carol White is seventy-five years old. She’s just begun life in a new home – the beautiful assisted living complex of Vintage Hollow. She is delighted with the delicious food, friendly community, and fun travel options. 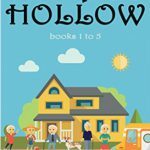 “The Bus Trip” is book one in Jane’s short story series set around the retirement community of Vintage Hollow. Each delightfully amusing story traces the adventures and mis-adventures of life in the golden years. Jane Nozzolillo is retired and volunteers with the Grafton Historical Society. 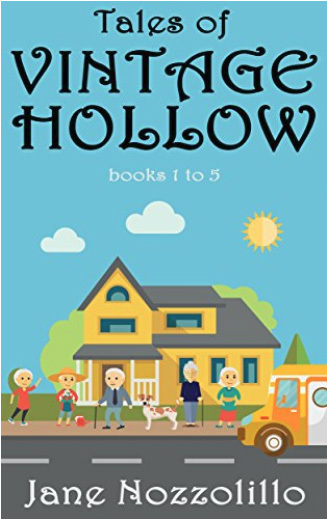 In addition to this Vintage Hollow series, she has also written the book “The Little House – The Big Move of the Little Grafton Savings Bank” based on the true story of the building’s move to a new location.